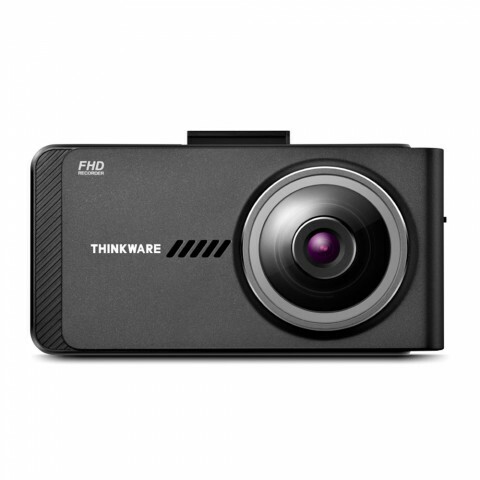 Recording Full 1080P HD video at 30fps, the Thinkware X700 is a high-quality, yet affordable dash cam with a host of features. 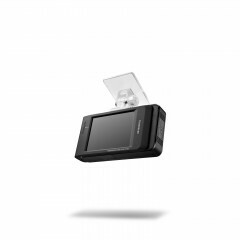 Ensure you capture all of your journeys whether you’re making memories or you want to provide a reliable witness in the event of an accident with the Thinkware X700. 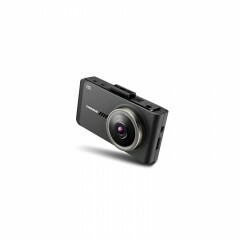 This sturdy dash cam records with a 142.7° wide-angle lens, so you can be sure you’re recording all the detail you may need. 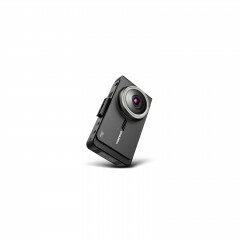 Footage is recorded onto the 16GB memory card (can be upgraded to 64GB) so that you can access it when you need to. Recordings can be transferred to a PC or MAC with the adaptor provided so that you can access it at home. Touchscreen - the 2.7” LCD touchscreen is a practical feature that reacts quickly to your touch, making it easy and efficient to use. High-temperature self-protection system - the built-in thermal sensor detects high temperatures and will trigger the self-protection mechanism to shut down the device, preventing it from overheating. Image sensor - the Sony CMOS Sensor improves the quality of day and night time images. Parking surveillance - using a combination of motion and impact detection, the dash cam protects against hit and runs while your car is parked by automatically switching on and recording when movement is detected near the car. PAC/MAC compatible - you can download and view the recorded video on either a PC or a MAC. 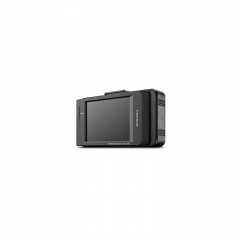 The speed and location data can be displayed if the dashcam is connected with the optional GPS antenna. Fail-safe recording - if the power is disconnected in an accident, the built-in super capacitor is used for backup power. This ensures safe storage of your footage. The Thinkware X700 dash cam is compatible with a rearview camera, which can be selected as an optional extra. 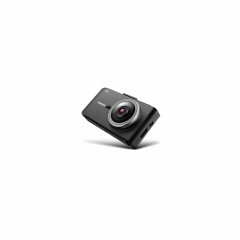 The addition of a rearview camera means the dash cam can record from both the front and the back of the vehicle so that you won’t miss a thing in the event of an incident. The rear camera allows 2 channel Full 1080P HD, so the footage from the back of your vehicle is just as high-quality as the footage from the front. Add this extra to accurately record the movement of an object approaching the camera from the rear. 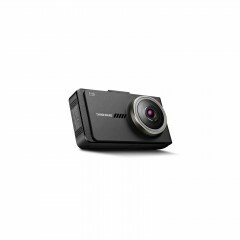 This dash cam is compatible with an optional GPS Antenna, which upgrades the X700, giving it more useful features and abilities. With the GPA Antenna, you can get camera alerts, which let you know when you’re approaching a speed camera, red light camera or a mobile speed camera zone. Using advanced GPS technology, this alert will also let you know the appropriate speed. This optional extra will also give you a road safety warning system which will warn you when you cross a lane, when you’re too close to the car in front, and more. This feature is designed to help you drive more safely on the road, preventing collisions or accidents. 1. 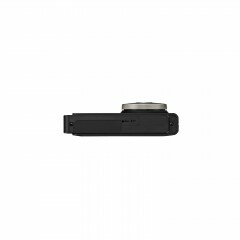 Stick the X700 to your dashboard or windscreen with the mount provided. 2. Plug the power cable from your cigarette lighter into the camera. 3. Tidy up the cable and you’re all set. Fitting is per camera and will usually take around 1 - 2 hours for dash cams and 2-4 hours for parking sensors.If you have any questions about our technology fitting service, please contact us 0800 8620676. Off Road Facilities: We will require off road facilities to complete installation work on a vehicle, it is illegal for our engineers to work on the side of the road (Please note we do not have permission to carry out installation work in any NCP car parks) Please note that any premises. Other than your own, you will need to seek permission from the owner to allow work to be completed. You will need to ensure at least two car parking spaces are available and also space for the vehicle doors to be fully opened. Undercover Facilities: We will ask the customer that in poor weather conditions if any undercover facilities are available at the location (double garage, car port etc). In the event of poor/severe weather conditions we may need to cancel the appointment.